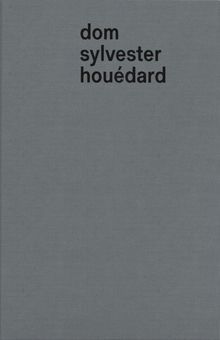 Widely recognised by his contemporaries as one of the leading theorists and outstanding practitioners of concrete poetry, Dom Sylevester Houédard (1924-92) is an unsung intellect of the twentieth century. The aim of this book is to reinstate the Benedictine monk and artist as an important figure in the countercultural and transnational art movement of the 1960s and early 1970s, especially within kinetic and concrete poetry. This publication also presents an extensive series of Houédard’s highly personal ‘typestracts’ -typewriter works- for the first time. Houédard is deeply relevant to our digital age: we may no longer use an Olivetti Lettera-22 typewriter, as he did, but we all increasingly type rather than handwrite our lives. Houédard would have been delighted by the permutational possibilities offered by the 140 characters in a tweet, or the visual shorthand of emojis and hashtags. For this monk, everything connected and was interconnected. The opportunity for the individual to compose ‘machinepoems’ or text-works that ‘move thru the air’ in a ‘global kinkon’ is now greater than ever. Clth, 9.75 x 13 in. / 159 pgs / illustrated throughout.